The ULR series of CO2 lasers for OEM use are based on a sealed, RF pumped, slab design that produces a high-quality beam. 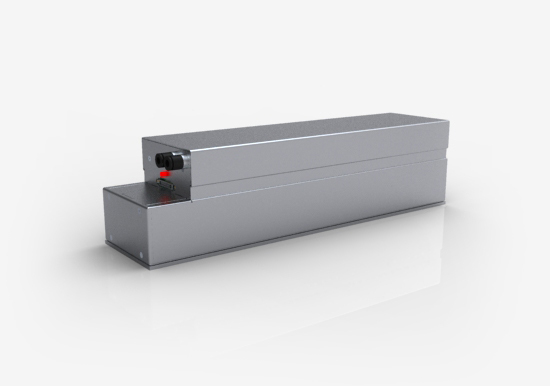 These lasers can be operated in CW mode or modulated to control average power. Modulation is accomplished by varying the pulse width of the input signal. In the 10 W to 150 W lasers, RF electrodes are spaced apart to allow the laser beam to form without influence of the electrodes, delivery excellent near- and far-field quality with minimal wave-guide effects. 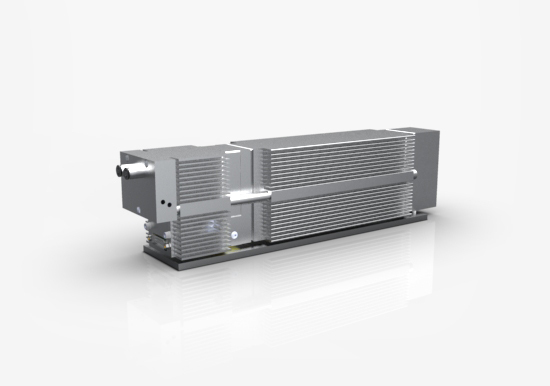 The folded resonator design allows generation of power in a compact package. Universal's lasers require no consumables and deliver a very long lifetime. 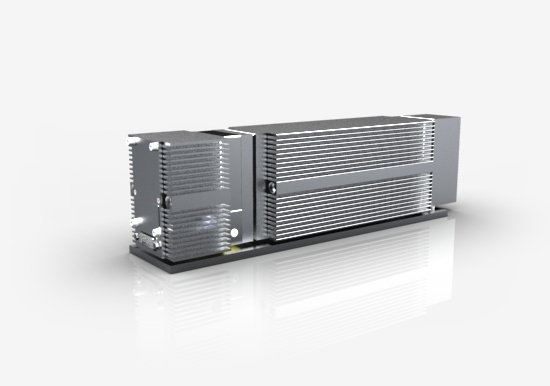 ULR lasers configured for integrated air cooling contain fans and heat sinks designed to allow the laser to operate efficiently with no external cooling. ULR lasers configured for water cooling are equipped with two "instant tube fittings" designed for 3/8" OD tubing. The cooling system is designed to use distilled water. ULR lasers configured for basic air cooling do not include fans. 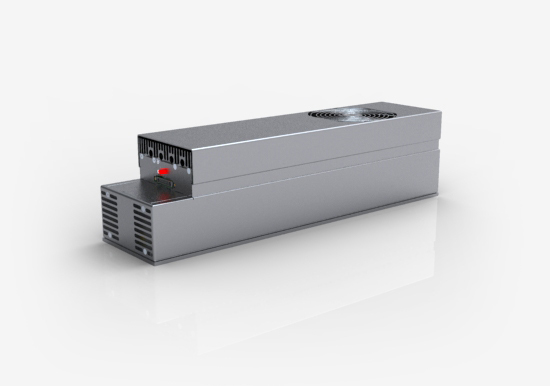 The integrator is responsible for ensuring adequate cooling, per ULS specifications. ULR lasers configured for basic water cooling use the same cooling system as the integrated water option, but do not include a cover over the laser assembly, have a differently shaped baseplate and are not compatible with special output options. Note: Inadequate cooling can reduce the power output of your laser and shorten its lifetime considerably. Consult ULS before designing a cooling system. For more information, please contact us. Copyright © 2019 Universal Laser Systems, Inc. All rights reserved. Universal Laser Systems logo and name are registered trademarks. All other company and product names are trademarks or registered trademarks of their respective companies.